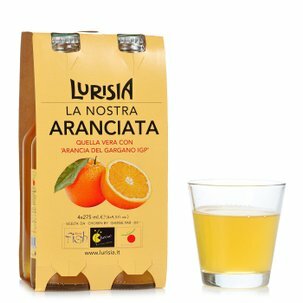 Lurisia is a guarantee of pure ingredients. Lurisia Chinotto is special because it's made only with fruit from the Ligurian Riviera di Ponente. 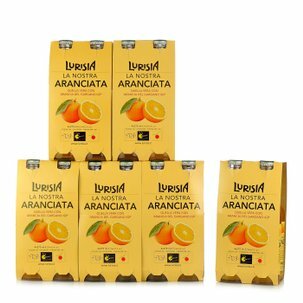 The Chinotto di Savona, an evergreen with an intense fragrance, has been a Slow Food Presidium since 2004. This citrus tree, originally from China, has found an excellent second home in the Savona countryside. 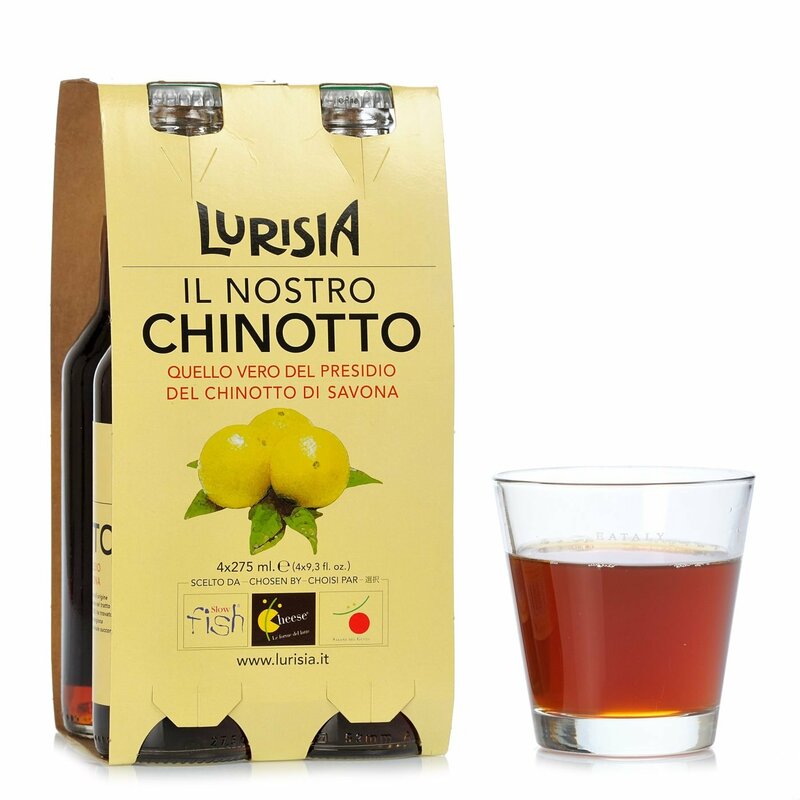 The Chinotto di Savona, small and highly scented, transfers all its pleasant aroma to this Lurisia beverage. 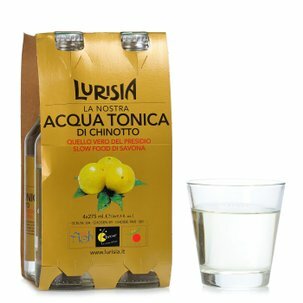 Lurisia Chinotto is refreshing, aromatic and excellent at any time of the day. Serve chilled, either alone or with a couple of ice cubes. 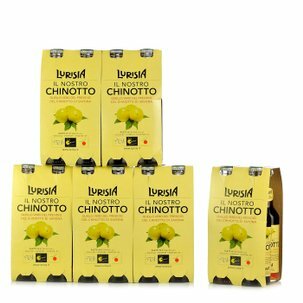 If you've got a passion for Lurisia Chinotto, the pack in the Dispensa di Eataly is for you! Lurisia mineral water gushes from a spring at an altitude of 4,646 feet, on an uncontaminated mountain far away from any source of pollution. 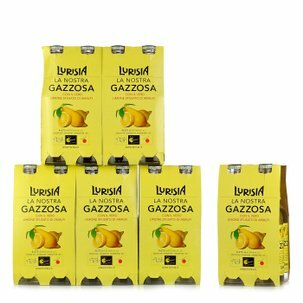 It is extremely pure and light in sodium and thus, when joined with other highest quality ingredients, gives rise to particularly delicious fruit juices, soft drinks and beers, and also a skin-friendly cosmetics line. 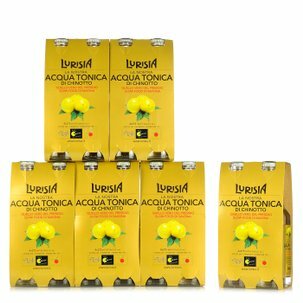 Acqua Tonica 275 ml 24 pcs.